It only took an entire year but, finally, this afternoon, I submitted the paperwork to stop contributing to my 401k. No, no, it’s not due to the recent ups-and-downs on the market and any sort of economic uncertainly. And I know that I’m not following my own advice by making this move. I’ve got more credit card debt than I’m comfortable with and I’ve been dancing around that fact for too long. Fourteen months ago it was a zero balance. Since then, I’d been tap dancing around $25k — and now the finance charges are starting to kick in. My first manoeuvre was to sell the I-Bonds. 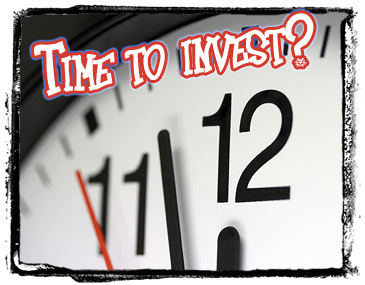 Hitting the pause button on the 401k is the second. My debts will most certainly fall now. Now, you know this is a good idea ONLY if the $ goes to the CC debt AND you don’t drop hundreds on jerseys, right? If you start using your i-bonds to meet your living expenses (car repairs & trips, for example), this won’t work! I think next week’s net worth update will showcase “where” the money went. That is a sound idea! I would’ve done the same if I were in the same position and the finance charge starts kicking in. Good luck at lowering the debt level – it’s a good start!